The Autopilot requires recalibrating after the update is complete, refer to Software Update Information section below. Select the software update below depending on which Multifunction Display (MFD) you will be using to perform the Remote Update. Firmware update processes are done at your own risk. Before initiating the update process be sure to backup and make copies of all important files. 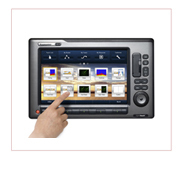 Some Raymarine products contain software code developed by third parties that are covered by open source GPL and LGPL software license agreements. You can view the third party license agreements by visiting the Manuals and Documents section of our website. Info Evolution Pilot System - Please make sure you have the latest p70 / p70R and ACU software installed, otherwise issues may arise. The fault can cause alarm 'No Drive Detected' if engine is powered off for a period. To support the new Hardware, to prevent it being downgraded to v2.18 application accidentally. Corrects a "No Navigation" fault error that can occur if entering Track mode from data via multiple 3rd party Navigators. 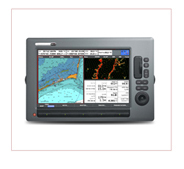 Improves the management of Waypoint numbers from non Raymarine Navigators.